C3 Customs Do it Right the 1st time! 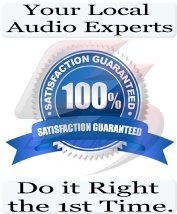 We provide our clients the only scientific approach to musical enjoyment. C3 Customs is a by-reservation professional custom car & home audio sales, installation, and design company located in Baytown, Texas – but we meet and work with selective clients from all over the United States. 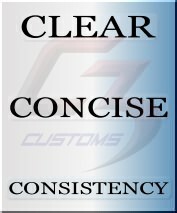 At C3 Customs you can expect: Superior Expertise, Quality Installation & Great Customer Service. We specialize in innovative car & home audio sales, design, installation, audio optimization, and custom fabrication. We offer a variety of services to better enhance your musical enjoyment at home or on the road. We specialize in innovative car & home audio sales, design, installation, audio optimization, and custom fabrication. We offer a variety of services to better enhance your musical enjoyment at home or on the road. We know how to listen. We learn as much as we can about and from our clients so that we can effectively utilize our expertise in acoustics, system design, international products and technology to be a resource to present ideas that make a difference. We consider ourselves our clients partners.